Everett H Pinette, 86 of Southington (Formerly of Bristol) passed away peacefully at his home on November 7, 2018. He was born on September 17, 1932 in Fort Kent Maine and was the eldest child of Harold and Frances Pinette. Everett was a devoted husband, father, grandfather, brother and friend. 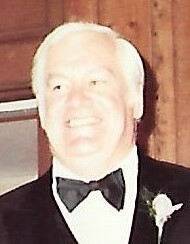 He moved to Connecticut in 1950 where he began his 47 year career in manufacturing working for Wallace Barnes Group in Bristol and then Cedar Metal Specialties in Wolcott, where he became a partner until his retirement. He met the love of his life, Phyllis when she was in Maine visiting at age 16 and they were married for 64 wonderful years prior to her death in 2017. He was a kind, generous and caring person whose big heart and great sense of humor will be sadly missed. 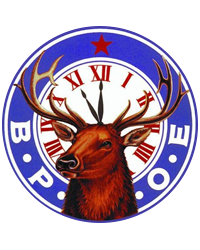 He was a lifelong member of the Bristol Elks and very involved for many years and was also a lifetime devoted fan of the Boston Red Sox and New England Patriots. The 2018 Red Sox World Series victory allowed him the everlasting peace to join his favorite Red Sox fan, Phyllis who he has missed every day since her passing. He leaves a daughter, Jill Therrien and her husband Todd Therrien and a son Scott Pinette, and his wife, Deanna Pinette. His beloved grandchildren Meryl (and her fiancé Jeb), Evan, and Colby (and his wife Julie). He was predeceased by his wife, Phyllis. He leaves his sisters Marlene Schwartz (pre-deceased) and her twin sister, Eileen Muir, Ann Powers and her husband Francis Powers, Sandra Masse, and his brothers Allen Pinette and his wife Carmen, Conrad (Bill) Pinette and his wife Jeanine, and Phillip Pinette. He also leaves many nieces and nephews who he truly loved and always had an open door for.